Get voluptuous and luscious lips with Dr. Brandt Xtend Your Youth Lip Smoother. Filling and decreasing the depth of vertical lines while promoting a fuller, plumper, more voluptuous and well defined lip contour, this product will transform your smackers. 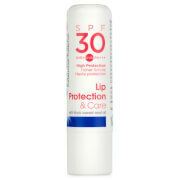 With a unique formula that restores moisture, reduces dryness and smoothes the lip surface which creates the ideal canvas for longer lasting lip colour with minimised bleeding and feathering, the treatment is just what you need for a perfect pout. Not only helping to increase collagen and hyaluronic acid production, this product also improves volume, density and lip outline, prevents formation of future lines and wrinkles and provides a protective barrier that retains moisture and reduces dryness. 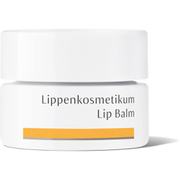 Apply on lips and around lip contour allowing cream to be absorbed into skin. Use under lipstick, gloss or wear alone. Use am and pm as needed. Water (Aqua), Helianthus Anuus (Sunflower) Seed Oil, Vegetable Oil (Olus Oil), Hydrogenated Vegetable Oil, Euphorbia Cerifera (Candelilla) Wax, Stearic Acid, Propylene Glycol Stearate SE, Beeswax (Cera Alba), Cetyl Alcohol, Vp/Dimethylaminoethylmethacrylate Copolymer, Ethylhexyl Palmitate, Tribehenin, Sorbitan Isostearate, Palmitoyl Oligopeptide, Cetearyl Ethylhexanoate, Portulaca Pilosa Extract, Sucrose Cocoate, Palmitoyl Tripeptide-38, Jojoba Esters, Glyceryl Stearate SE, Acetyl Octapeptide-3, Caprylyl Glycol, Glycerin, Tripeptide-29, Sodium Hyaluronate, Silica, Allantoin, Tocopheryl Acetate, Butylene Glycol, Camellia Sinensis Leaf Extract, Vitis Vinifera (Grape) Seed Extract, Polyacrylamide, C13-14 Isoparaffin, Laureth-7, Sodium Polyacrylate, Disodium EDTA, Potassium Sorbate, BHT, Phenoxyethanol, Hexylene Glycol, Flavor (Aroma), Limonene.